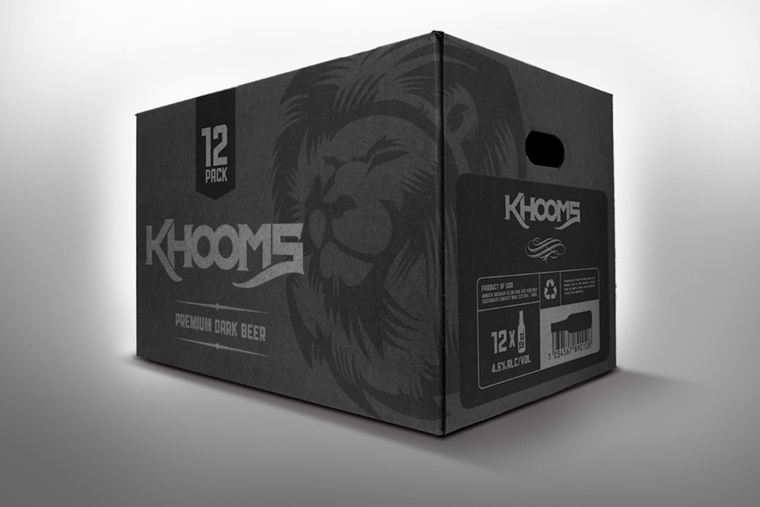 Client KHOOMS / Date 22 Oct 2015. / Category Desarrollo de marca, logo, empaque. 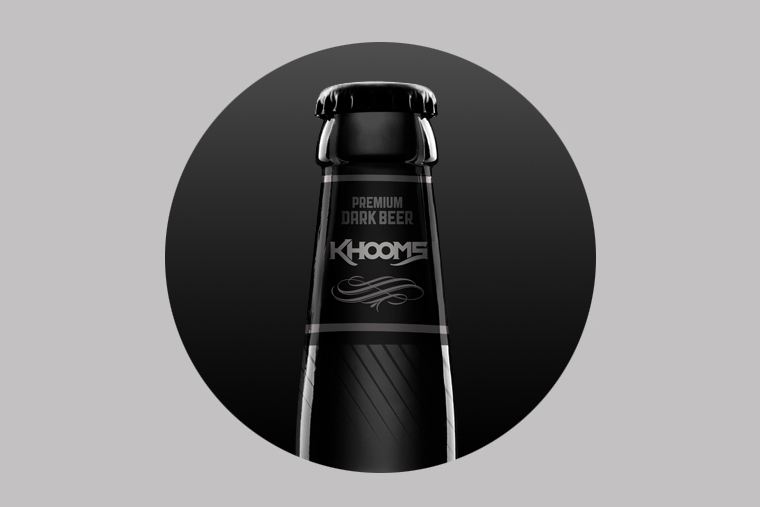 Khooms is a brand new artisan premium dark ale that is focused on the idea of a dark, strong and simple beer. 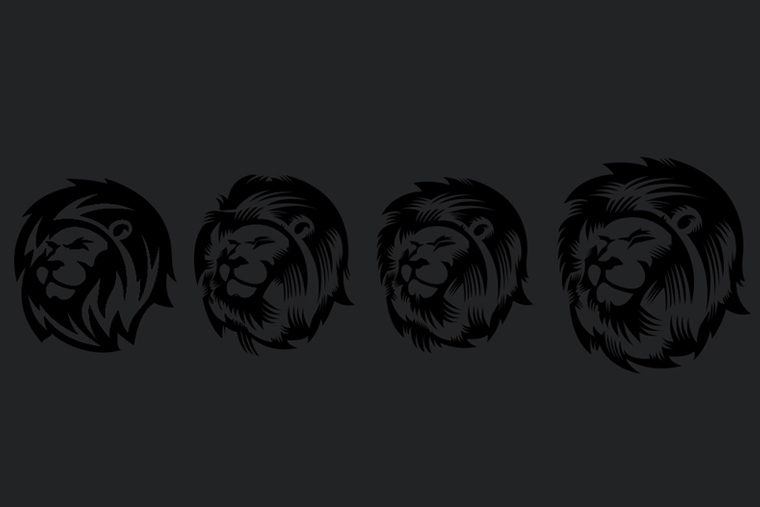 The main focal point is the illustrative lion to enforce the power of this dark strong beer. 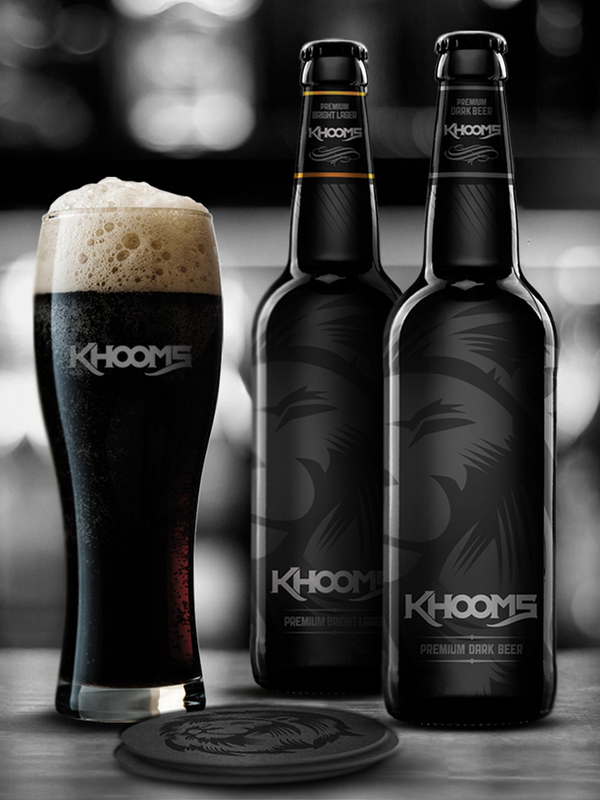 Khooms is a new brand, about an artisan and premium dark, pale ale and bright lager beer. 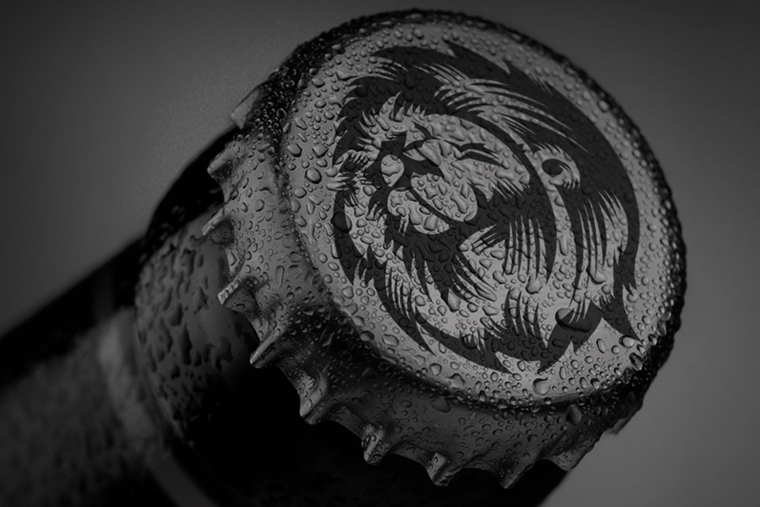 The brief was to create a new brand focused in an artisan but sophisticated premium beer, on which the dark mood and simple art reflect the great and original taste, also the concept about the lion would be treated to enforce the power of a strong beer.